Nowhere is the contrast between the progressive drive of Hungary’s creative class and the current government’s reactionary politics more visible than in the sprawling capital Budapest. The city is known as the Paris of the East for its art nouveau architecture and flâneur-friendly boulevards, though extreme budget cuts and rampant racism under Prime Minister Viktor Orban’s nationalist Fidesz party are rapidly degrading its potential as a creative hub in what many see as an only nominally united Europan Union. We met six protagonists from the city’s varied art, music and cultural scenes who remain cautiously optimistic about their individual futures amidst the collective crisis. This is the third of a six-part series. Read the second part here, the fourth part here. All photos by Rosalia Kullick. Zsuzsanna Bende is the booker at A38. By pulling in larger acts and making serious investments in the soundsystem and club architecture, A38 has survived the wave of extinction that has ravished the city’s club landscape. 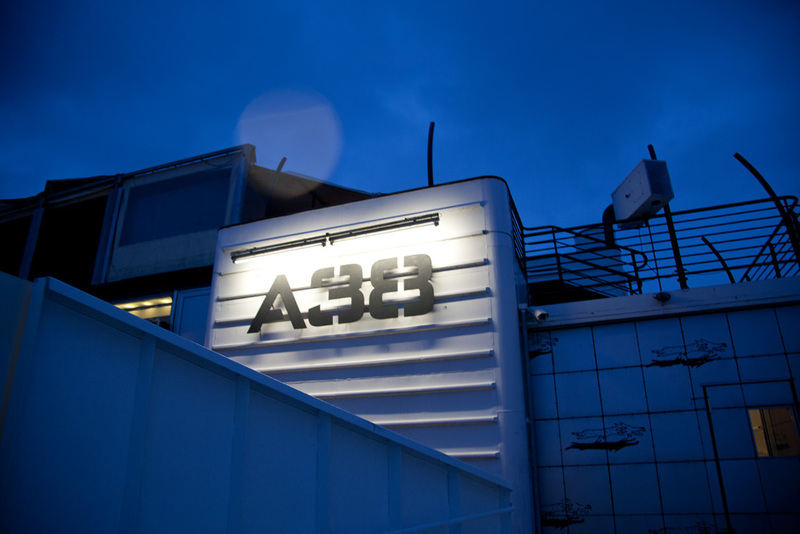 The A38 was founded in April 2003, almost exactly ten years ago. Back then we had a boat and a love for music, but we didn’t exactly know what our direction was. All we knew was that we wanted to present great international acts, even if we didn’t know how to get them. We had good intentions, but because there was essentially zero basis or expertise, we couldn’t pay fees that would match international standards, nor could we refer to past merits. It was, in short, very, very difficult. To install a challenging program and to build up confidence for a venue in an ex-Eastern Bloc city such as Budapest requires patience and a huge amount of responsibility, and only by properly booking and organizing concerts can you gain credit. Over the years, my strategy of booking primarily international acts paid off very well and today we are known for exactly that. We are proud to say the A38 has become Hungary’s first stop when it comes to current cult international performers, ranging from Jane Birkin to David Lynch to The Brandt Brauer Frick Ensemble. Of course, we book outstanding Hungarian artists too—DJ Titusz, for instance, has a residency at the A38.